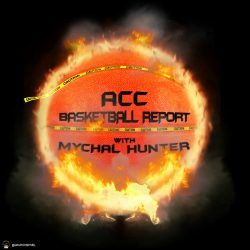 2018 Top 20 player Nassir Little released his final 5 tonight and the ACC is all over it. Georgia Tech, Duke, UNC and Miami all made the cut for the 6’7 combo forward from Orlando. Arizona rounds out the top 5. Littles ascension up the ranks has been steady for about the last year. After having an amazing summer with IFamily AAU program this year he was recently bumped (deservingly so) to a 5 star prospect and one of the most coveted prospect in the 2018 class. St. Johns, Illinois, Kansas and Florida were all thought to be in contention but all received disappointing news this evening. To this point the only official visit Nassir has set is with the Yellow Jackets.